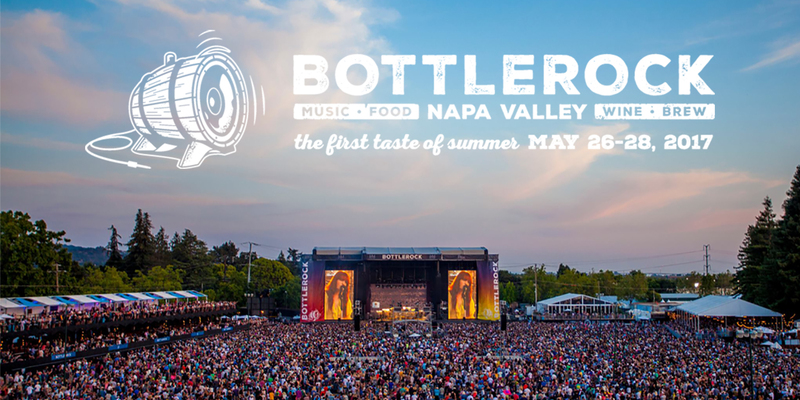 While we’re still living in the shadows of a cold winter, BottleRock Napa Valley Festival is giving us something to look forward to in the warmer months! Napa’s acclaimed festival, which is a short one hour drive from One Mission Bay, will be held from May 26-28, and tickets are already going fast. This year’s headliners are sure to have music lovers clamoring to the front row. Tom Petty, Maroon 5 and The Foo Fighters will headline the three-night event, with supporting acts including The Roots, Modest Mouse, Ben Harper and so much more. This epic festival is the ultimate epicurean experience with elevated dining options, craft breweries, favorite wineries and plenty of VIP options to enjoy Napa the right way. Looking to truly take it to the next level? The Platinum Experience includes access to special artist Meet & Greets, exclusive on-stage and front-row viewing areas where you can be face-to-face with some of the world’s top musicians, plus private viewing and bar at the Main Stage Soundboard! It even gives exclusive access to the Platinum Lounge featuring signature dishes and gourmet bites prepared by James Beard House honoree, Chef Alejandro Ayala, world class wines selected and served by Master Sommeliers and Masters of Wine, and artisanal cocktails created by Master Mixologists plus signature craft beer, and that’s just the beginning of it! Make sure to grab tickets while there’s still availability!